Great rug for the price. Gave us exactly what we needed to copy a Pinterest page for our daughter's room. 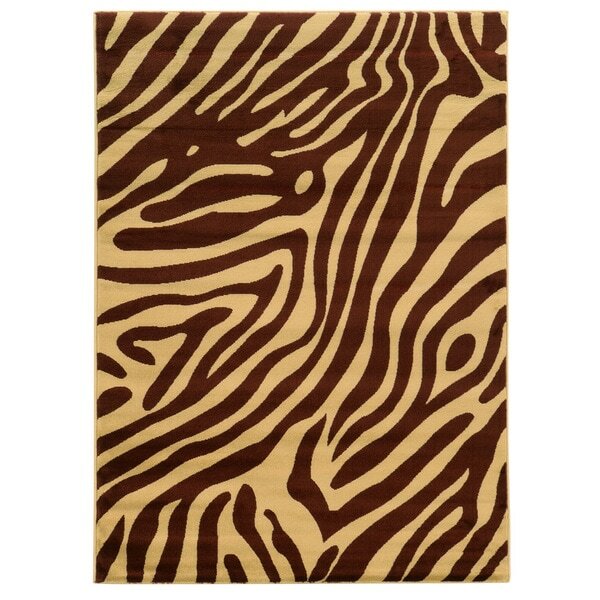 Linon Elegance Zebra Print Brown/ Tan Area Rug (5' x 7'3) - 5' x 7'3"
This Elegance area rug features an eclectic mix of designs and colors in a transitional zebra print pattern. The modern take on a classic print will make this rug an instant eye-catching update to any room in your home. To Jazz up my Master Bedroom. I'm hoping it will do the job, can't wait to see.